VIDEO is on the end of the article! I was a member of the Illuminati for 47 years. I was recruited when I was 19 years old. I have posted here off and on over the past year. (Some of the posts are mine, others are my brothers, mainly they are his) The information that I am about to unfold is very revealing and very dangerous. I am one of seven people in the history of the Illuminati that have performed the “Departure” Ritual. I knew that I needed to get out when I had something revealed to me at a meeting in June of 2010. For years I was in line with the beliefs, motives, and actions of the Illuminati, but it recently became too much for me to bear, and I had to extinguish my sacred contract. My reason for coming here is to reveal EVERYTHING about the Illuminati. How you become a member, what the organization is about, what the organization does, and the future plans that we have. I will be back to make my first post when I can see that this thread has enough attention for me continue. Any time in the near future when I begin to reveal the secrets of the Illuminati, I need to ensure that there are enough people paying attention so that my efforts do not go to waste. Once I see that this thread has a substantial amount of views and replies, I will make my first post. Barack Obama is not a member of the Illuminati, he is something much, much worse. The new “space flights” which are planes that can briefly enter orbit are not as fun as they seem, they are an Illuminati tool. The information I have is essential! The first topic to discuss will be these underground bunkers that I have mentioned. Currently, there are 57 underground bases and bunkers around the United States that are in use for various purposes. There are 439 bunkers in the entire world. ALL of these bunkers and bases are controlled and maintained by the Illuminati. The largest underground bunker is in Sao Paulo, Brazil. This bunker has the capability of holding up to 5,000 people for a period of up to ten years. I have personally been in this bunker, and it is much larger than one that anyone can possible even imagine. This bunker is secured mainly for the events of the end times. 5,000 of the world’s richest, brightest, and most powerful individuals will secure shelter in this bunker in the event of a global thermonuclear war, natural disaster, or any other form of global catastrophe. Don’t be confused. Several other bunkers have the ability of housing large numbers of people for extended periods of time, but no other bunkers is as large and capable as this one. In the event of World War 3, all of the world’s leaders will take shelter here, and the governments of the world will be theoretical proxy governments. The world’s richest people will be here as well. People such as Bill Gates, Warren Buffet, the oil tycoons ( however, these oil tycoons will be murdered while they are in the bunker so that the takeover of the Middle East will be much easier for the New World Order). I do not know the exact number, but of the 439 bunkers in the world, I would say that around 275 of them are constructed mainly for shelter and extended stays. I myself stayed in one of these bunkers while in China in the nineties. They are very nice, very luxurious. It is practically like you are staying in a 5 star hotel. Leon Trotsky: After Stalin defeated Trotsky and secured power in the Soviet Union following Lenin’s death, Trotsky was moved to an underground bunker just inside Switzerland. Stalin originally did not know about this because if he did not follow the orders of the Illuminati, then Trotsky was going to be reinstated as the leader of the Soviet Union. It was important to have Trotsky placed in this bunker because Stalin was going to kill him otherwise. Stalin eventually fell in line with the Illuminati’s plans, and Trotsky was executed because he was no longer needed. Abraham Lincoln: Lincoln was NOT murdered by John Wilkes Booth. Lincoln was placed in the office of presidency as a pawn. The Illuminati knew that if he was elected then the South would secede. The Civil War made the North very, very rich. That was the only reason the Civil War was allowed to happen. If the Illuminati had not seen the opportunity to become rich off of the war, then slavery would still be an American institution. Lincoln was placed in office just to start the war. He made a deal that once the war was over, that he would be removed from office. This was taken care of through a fake assassination, and he spent the rest of his days in a bunker in Mexico. Saddam Hussein: Hussein was in power in Iraq merely to raise justification for invasion by the United States and other nations. Many of you are already familiar with what I have said about the plans to entirely take over the Middle East and to secure the oil that is currently untapped. The Hussein that was “hung” was a dummy, and the cell phone video that was release was meant to be released as “proof.” Saddam is currently in a bunker somewhere in Argentina. I do not know of any future plans with him. The rest of the bunkers in the world are used for storage of things that cannot be stored on top of the ground. Nuclear stockpiles are being held in these underground bunkers . In the event that a nation veers off the course that is planned, then they will be eliminated. Either through assassination of their leaders or by nuclear destruction. Thankfully, nuclear action has not had to be taken yet; however, do not put it past these people to bring about such destruction. You all know about the HAARP machine conspiracy. It is real. I can assure you. The machine is housed entirely in a bunker that is underwater in the Pacific Ocean. This machine was developed back in the 1980’s, and was first used in the late nineties. This machine has capability of creating any natural disaster that the Illuminati wish to create. Hurricane Katrina was a product of the HAARP machine. The Hurricane was used as a diversion. While the area was in chaos, and attention was diverted everywhere, engineers were sent down to prepare for the gulf oil spill. I can assure you that the Illuminati is capable of releasing more oil into the gulf. The oil that has already been pumped into the gulf is only a small amount compared to what could possibly be done. I already mentioned that the oil spill was used as an agent to implant microbodies into the brains of the children in the area. These children that have been affected are now subject to government control whenever these microbodies are activated. The Illuminati also used the opportunity that Katrina presented to build a bunker that is directly beneath the French Quarter. Why else do you think that FEMA was slow to provide adequate assistance? The engineers needed time. The HAARP machine is not controlled by any one single country; it is collectively controlled and used. The earthquake in Haiti, the ones that happened over the past couple days, all are products of the HAARP. Not all of the events are relevant or important, some are just tests, some are even mistakes. Rest assured however that once there is need for a natural disaster, the disaster can be generated, engineered, and directed and have whatever effect is necessary. Another thing that is housed in these bunkers are drugs. There are massive amounts of cocaine, marijuana, heroine, and all kinds of other drugs being stored. The drug trade and war on drugs are essential to the Illuminati. As more and more drugs are traded and cartels become more powerful, the Illuminati becomes richer and more powerful. One of the major contributors and benefactors to the drug trade is Warren Buffett. Buffett has been running the drug trade in the Western Hemisphere for the past twenty years. The drug cartels of Mexico are under his power. It is important that the Illuminati control the majority of the drugs in North America. This is because it gives them yet another vehicle to transport technology that allows them to take control of the consumers. The Illuminati is constantly searching for ways to implant themselves in the minds of the general public, and naturally, control of the drug trade was the perfect way to do so. Buffett secured control of the drug trade when he approached multiple drug cartels and presented them with contracts. He has been in control ever since, and Ben Bernanke is assisting him with the day to day operations. Multiple bunkers are also equipped to serve as crematories. Much in the same way that the Nazis burned their victims, the Illuminati plans to burn victims that are killed off. Many have speculated that FEMA has constructed stockpiles of coffins to be used for mass burials, but this is not true. Mass burials would take a massive amount of time and effort. Therefore, when the time comes to begin mass killings and executions, the bodies will be shipped to “burn yard” where they will be dropped in these bunkers and reduced to ashes. FEMA, which is an Illuminati run organization, decided that this would be the most effective way to dispose of a mass amount of bodies. Yet more of these bunkers contain robots that are designed and ready to infiltrate the workplace in the case of a labor shortage. The scenario in which these robots will most likely be used is when the mind control aspect of the Illuminati’s plan goes into effect. Robots will be sent in to perform the jobs that these people were doing, and these people will be used for other events, such as war, propaganda, and violence. These robots will also be used once population control goes into effect. Alex Jones is not who he says he is. For years he has been working to uncover the secrets of the Illuminati and the New World Order, but yet he is a member of the former, and will be in power in the latter. Jones has been placed in the world of conspiracy theories to feed false information, to throw trackers off the trail. Do not believe anything that the man tells you. All of the information that he presents is fabricated by the Illuminati, for the Illuminati. Think of Joseph Goebbels. Alex Jones is the perfect Joseph Goebbels. STOP LISTENING TO HIM IF YOU ARE. You are being lied to by a man that receives his instructions straight from the Illuminati. The moon landing in 1969 was real, but there was a moon landing seven years earlier that was the first real landing. In truth, the Russians were the first ones to land on the moon; however, they did not publicize the mission nor the results. It was decided that America was going to win the space race in order to secure a feeling of capitalism over communism. Russia launched their own rocket ship toward the moon as a test run to ensure that the American trial would be successful seven years later. Everything went perfect with the Russian moon landing, and the same technology was then applied to the American moon mission. While on the moon, the American astronauts began the first construction of nuclear missile sites on the moon. These nuclear missile sites have been added onto over the years by way of subsequent moon missions and work by remote control robots. The purpose of these missile sites is the ability to launch nuclear missiles without the risk of tracing the missiles back to a particular country. The scenario in which these missiles would be used is to attack a nation that is not cooperating with the Illuminati. The Illuminati would order missiles launched at the nation, but without the afflicted nation being able to track where exactly the missiles came from, they would not be able to show evidence that they should declare war on a specific country. In my opinion, these missiles will never be used because there are many other ways that the Illuminati can bring down an entire government other than nuking them. However, to my knowledge, the moon currently has 2 fully equipped nuclear missile sites that can be operated from Earth. Scientists working for the Illuminati have found a way that they can “shut” off the sun. A weapon has been created that shoot a beam of high density radiation right into the heart of a planet or star. This beam of radiation penetrates through the planet creating a very large cylinder in the exact middle of it. The radiation that is left behind begins to eat at the star or planet and the effects spread like wildfire. This technology has been tested on various stars in our immediate solar system and is very effective. The first thing that occurs to the star is that the radiation eats a perfect cylinder through the middle of the star, the radiation left behind begins working its way outward degenerating anything in its path. The radiation continues to build and spread. Some stars hung on until they were totally deteriorated from the radiation; however, some stars became so unstable that they combusted at a certain point. Scientists are certain that this technology can be used on the sun, but also on other planets. One estimate that I overheard was that from the initial shot of radiation, it would take approximately nine years for the entire sun to be entirely consumed. We would begin seeing the effects of the radiation in approximately 3 and a half years however. The first signs would be shorter days and a decreased amount of sunlight during those days. The sun would start becoming unstable at about the seven year point, and we will begin seeing massive solar flares. Once the nine years is up, all life on earth will be dead. Since my departure, I am completely unsure who the top, head leaders of the Illuminati are at this point, but I will give my best guess. 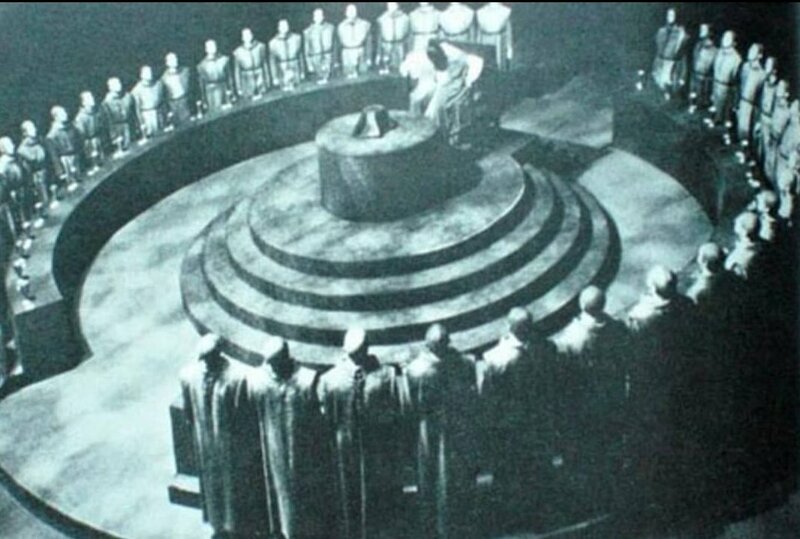 The Illuminati is structured so that there are one to three major leaders in each major region of the world; however, some regions are left out because of a lack of a suitable leader; therefore, a leader is installed there. Warren Buffett is most likely the head of all Illuminati operations. Followed by Ben Bernanke, followed by Lloyd Blankfein who is CEO of Goldman Sachs. Goldman Sachs is a key player in the North American Illuminati sector. Recently, Goldman Sachs invested almost $500 million dollars in Facebook. Usually this means that Facebook will fall under Illuminati control soon, just as Myspace and Twitter have. South America is void of any real Illuminati leaders. Hugo Chavez has been difficult to work with in the past. He seems to be in line with the Illuminati agenda; however, he does not like being told what to do. Most of the North American leaders control South America as well. Nicolas Sarkozy is the main guy. He controls the majority of the operations in Europe and Africa. Gordon Brown was very influential in the Illuminati until he decided to begin playing his way; this is why he was removed from office. My opinion is that he is still a key player, just not as key as he once was. There are several African arms dealer that have recently gained some power; however, I am unaware of their identities. The Middle East is controlled largely by Benjamin Netanyahu which should not come as much of a surprise. Netanyahu does not have as much control as you would think however. As I have stated before, Israel is the grand puppet state of the Illuminati.They will do absolutely anything that the Illuminati wants them to do, and they will do it to the best of their ability without even thinking twice. Israel has been given the permission to fire upon Iran whenever it wishes to do so. Control of the Middle East is hard because there are so many rebel groups. Palestine should not even be worried about. Although they are not controlled by the Illuminati, they are not able to do anything. Iran is borderline at time, and completely in opposition at others. This is why Israel will destroy Iran to start WWIII. Asia is controlled entirely by Vladimir Putin and his cronies. Putin is a very powerful, very smart man. He will regain popular control of Russia very soon, but you can be assured that everything that is happening in Russia right now is going through him. China has chosen to give up a little power to the Illuminati. They cooperate; just do not care to become too involved. In my opinion, it is because they feel that they will be able to defeat the Illuminati in the end. They are sadly mistaken. Eventually they will come to terms and will join in the great skit that will be called World War 3. The Spanish flu of 1918, SARS, and the H1N1 scare all have one thing in common: they all were engineered by the Illuminati. While nothing has been instituted on a global scale, the Illuminati has been testing these viruses for years and they are finally unlocking the keys to creating a virus that will spread across the globe very, very fast killing select people. My advice: do not receive the vaccines. You will become a part of a test group that the Illuminati is using to experiment. The H1N1 virus started to become widespread when animals escaped from a farm in Brazil where the virus was being tested. Several of these animals mingled with citizens of surrounding towns, and many of the animals were consumed. The population of the surround towns were quarantined, and the ones that died were covered up; however, somehow, a traveler had carried the flu virus all the way up into northern Mexico, where the virus was first reported. The Illuminati soon found out that the virus was much, much less ineffective than they thought. They are currently pursuing research on a virus that will wipe out a country within a matter of days.